Do you recommend Theosophists to study the Kabala or Rosicrucianism? I am told that they were once parts of the Theosophical movement. It is not in the power of Theosophists to study either the one or the other. What is now called the Kabala is but a fragment of the original writings, and a fragment that has been adulterated and distorted. And as for Rosicrucianism, whatever calls itself by that name is self-convicted as an imposture. Rosicrucians were forbidden to disclose their connection with the Order, or to pose as teachers, or as being in possession of any peculiar knowledge whatsoever. 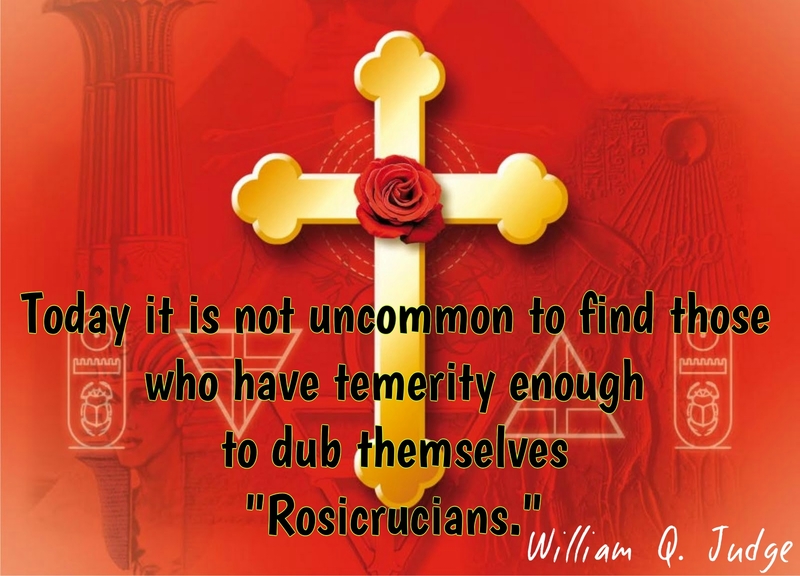 Their only visible mission in the world was to “do good by stealth and blush to find it known.” Whoever calls himself a Rosicrucian has thereby proved that he is not one. But why should you wish to study Kabala or Rosicrucianism save as a mere matter of intellectual curiosity? It may be true that these things were once part of the Theosophy of the ages in which they flourished, but that they are not parts of the Theosophy of this age is sufficient reason for neglecting them at this time. What would you think of a sick man who took the medicine that was prescribed for him ten years ago, and for some other disease, merely on the ground that it was medicine? The wise physician prescribes for the symptoms as he finds them, and he will change his medicines with the progress of the malady. Now the writer has no authority for saying that this, that, or the other was or was not a part of the Theosophy of earlier times, except so far as some few authoritative hints may have been dropped. But it is entirely evident that theosophical methods must change from cycle to cycle with changes in popular education, religion, and temperament. It is therefore quite possible that at other periods of history it may have been necessary to present Theosophy by means of the Hebrew terminology, for example, and under a Kabalistic garb, at a time when no other terminology and no other garb would have been tolerated, and when the slightest aggressive variation from religious orthodoxy was impossible. But why revert to past possibilities and opportunities while present possibilities and opportunities are so much greater? Now either the Theosophical Movement was, and is, under competent direction, or it was, and is, not. In the latter case we need not trouble about it at all. But if the Founders were competent for their work we must suppose that they knew what they were about, and that their method of presentation was exactly suited to time and place. It is also evident that they were far more intent upon disclosure than upon concealment, and that they gave with a prodigality that has never been surpassed. It would probably be hard to find a more striking example of human perversity – one might say stupidity – than the so-called Theosophist who remains ignorant of the Secret Doctrine, or who contents himself with its cursory perusal, while wasting his time in poring over works on Rosicrucianism or Alchemy, and that actually contain not a word of either. Certainly it would be correct to say that there is more practical occultism in a single chapter of the Ocean of Theosophy, for example, than in all the books on Rosicrucianism and Alchemy and Kabala that are now obtainable. If the Rosicrucian student of the middle ages had received under his initiation oath one-hundredth part of the information contained in the Secret Doctrine he would have considered himself as blessed among men. And there are casual footnotes in the Secret Doctrine containing occult information that Paracelsus, for example, would never have dared even to hint at. And in order to regularize the foregoing let it be said that it represents no more than the writer’s personal opinion. SOME RELATED ARTICLES: Theosophy: The Ancient Wisdom, 12 Things Theosophy Teaches, An Invitation to The Secret Doctrine, Who wrote The Secret Doctrine?, Who are you, Madame Blavatsky?, The Masters and Madame Blavatsky, Words from The Masters about H.P. Blavatsky, Responding to Lies about H.P. Blavatsky, Praise for H.P. Blavatsky and Theosophy, The Two Paths, The Closing Cycle, Who was William Quan Judge?, William Q. Judge’s “New Era of Western Occultism”, and How to successfully study the Teachings of H.P. Blavatsky. Hello Ariadne, this was a magazine simply named “U.L.T.” which was published for a few years by associates of the San Francisco ULT Lodge around a century ago.